This website is owned and operated by Acupuncture Coffs Harbour. Your use of this site, information, materials, products and services provided mean that you accept these Terms. To confirm details of the content of this website please contact Acupuncture Coffs Harbour prior to confirmed orders of products and services. Acupuncture Coffs Harbour name and logos may not be written without our consent. You agree that all materials, data, graphics, video, displayed on this site are available for your personal use only. 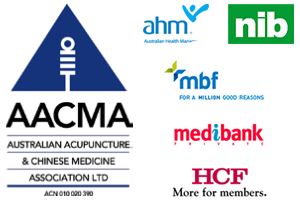 Photos of individuals from classes or groups taken by Acupuncture Coffs Harbour are permitted to be used by Acupuncture Coffs Harbour unless requested politely by individuals in the photo or parent/guardian to have the photo or video removed. Professional images on Acupuncture Coffs Harbour may not be reproduced, copied or digitally manipulated without the consent from Acupuncture Coffs Harbour. Use of these images for other promotional purposes, design, and branding is a violation of the Australian and International Copyright laws. Professional images of Acupuncture Coffs Harbour teachers will not be used unless permitted otherwise by their respective photographers.